Book clubs seem to be more popular than ever—we've even got two right here at the Free Library: our annual One Book, One Philadelphia reading selection creates citywide conversations every year and the recent debut of our Online Winter Reading Challenge is poised to keep area readers busy no matter how much snow blankets the city. 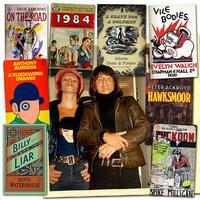 If that's not enough, want to join one of the most far-out literary events this side of Mars? What better time than during Philly Loves Bowie Week, running now through January 14, to join the David Bowie Book Club?! 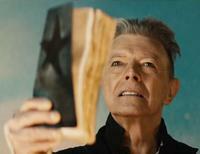 Musing on Twitter at the end of December 2017, Bowie's filmmaker son Duncan Jones stated, "My dad was a beast of a reader. One of his true loves was Peter Ackroyd’s sojourns into the history of Britain & its cities. I’ve been feeling a building sense of duty to go on the same literary marathon in tribute to dad. Time allowing... #Read-ItBig’nsTheBrain". 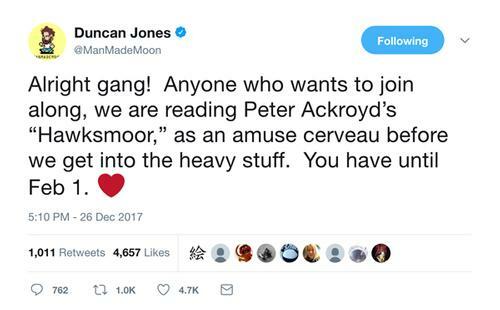 Later that same day, he invited others to read along with him during the month of January and to begin discussing Akroyd's Hawksmoor starting Febrary 1. It's been almost two years since David Bowie rocketed off this mortal coil but his passion for life and all forms of art are still influencing and inspiring us. As eccentric as his artistic output was, his taste in literature was just as voracious and varied. Bowie's booklist spans fiction, nonfiction, history, poetry, comic books, and some that probably defy classification. Books by authors such as Richard Wright, Yukio Mishima, Angela Carter, and John Kennedy Toole are stacked up in the bookstacks alongside titles from George Orwell, Susan Jacoby, Junot Díaz, and even Dante and Homer. You can browse a selection of some of Bowie's favorite books available from our catalog or view the full booklist at his official website. How many of the books listed have you already read? Are there any you would want to add to your own to-read list? Let us know in the comments! 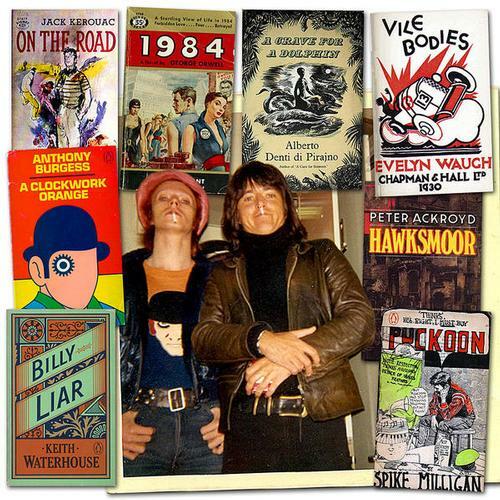 David Bowie sporting a Clockwork Orange T-shirt (the book by Anthony Burgess is in the list) with his old chum, George Underwood. Photo from David Bowie's official website. I'm totally interested and would love to join. My home town is Philly. I am a huge David Bowie fan. I do not have a whole lot of spare time but I would love to join this club. I could use the push to get back into reading. I miss reading. 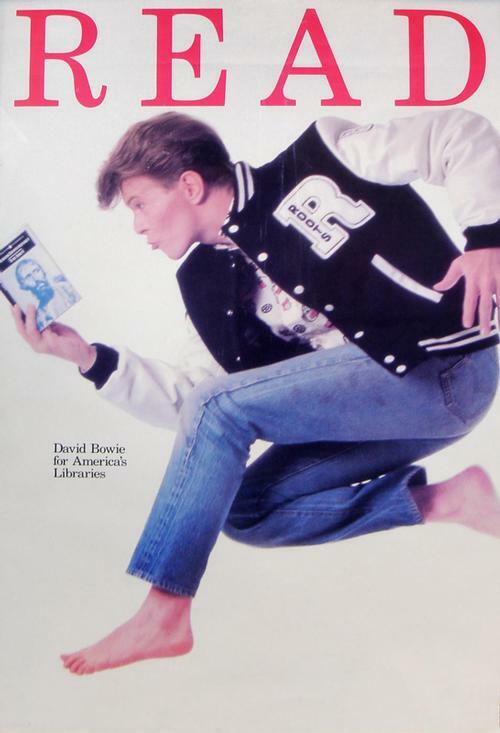 Add a Comment to Join the David Bowie Book Club!